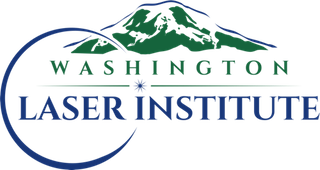 Washington Laser Institute is a premier laser training school with the main campus located in Federal Way, WA. Washington Laser Institute is designed for estheticians seeking the Master Esthetician License, nurses, physicians or physician assistants who desire to further their education to include laser operation and safety with an emphasis on clinical correlations. In response to the new Washington State Esthetic Law, and the new Oregon Esthetics law, Washington Laser Institute, working side by side with esthetic schools, has developed a comprehensive curriculum specifically for the esthetician seeking advanced training leading to the Master Esthetician License. Washington Laser Institute unlike other laser schools, uses the state of the art lasers offering the student the options to learn on one of the largest selections of cosmetic lasers. Our lasers belong to the school, are always maintained and are taught by licensed instructors and physicians who are full time staff at the esthetic laser school. You will never be asked to travel to a farmed out med spa to recieve a minimum hands on to simply get "signed off". At Washington Laser Institute you will be taught and supervised by real physicians that work every day in the cosmetic laser industry. Academic excellence in laser training is our forte. Our laser medical aesthetic curriculum speaks for itself. Feel free to call our registrar for course information or to arrange a tour 855-755-1064. The profession of medical aesthetics is evolving. 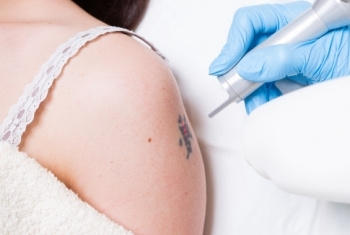 New technology in the cosmetic industry calls for advanced cosmetic laser training on all aspects of laser operations and proper patient selection. Washington State law and Oregon state law have recognized the need for advanced laser training with the passing of new legislation making a Master Esthetician License a reality for any esthetician desiring to operate a cosmetic laser or perform advanced treatments such as medium depth chemical peels. Washington Laser Institute’s mission is to provide quality laser training for licensed estheticians in a fully equipped laser school taught and supervised by real physicians and the esthetic teaching staff at all times. Washington Laser Institute has developed a comprehensive curriculum that is recognized by several Washington State esthetic schools. Washington Laser Institute's curriculum exceeds the minimum requirements for the new Oregon and Washington esthetic law and is WA State DOL APPROVED. Our pledge is to certify self assured and competent master estheticians on every type of cosmetic laser equipment always under the direct supervision and training of our physicians as required by our state law. Upon completion of any of our medical aesthetic laser training programs, our students will be able to properly assess a patient for laser treatment, demonstrate to our physicians and licensed esthetic instructors clinical competence in laser operations on the several types of cosmetic lasers at any of our facilities on live patients. Graduates of Washington Laser Institute will be given a structured robust education covering the latest advances in cosmetic laser technology as well as quality clinical laser training on real patients which will exceed the requirements of the new Washington and Oregon State Esthetic Law. 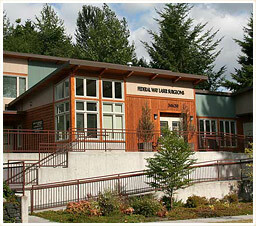 Washington Laser Institute's main campus is located in Federal Way, WA just 20 minutes from Seattle WA. When choosing a laser training center, it is of utmost importance to consider the state laws and regulations for laser operation that the laser training is occurring. In the State of Washington, esthetic lasers must be operated under the guidlines of the Medical Quality Assurrance Commission. You can rest assured that your clinical training will bender the guidenceof licensed physicians as dictated by the Medical Quality Assurence Commission. In addition to our physicians, the Washington Laser Institute has a staff of licensed Master Esthetic instructors for continued didactic and clinical correlations. Our educational platform evolved from feedback from estheticians who are looking for a structured quality educational experience to meet their busy schedule and be equipped with knowledge and clinical experience to compete in the ever evolving esthetic industry. Upon completion of the comprehensive curriculum, assuming the student holds an active esthetic license from an accredited esthetic school in Washington State, the graduates will receive necessary documentation to acquire their Master Esthetician License and be prepared to take the Written and Practical Examination for Master Esthetican License administerd by NIC. We are proud to say we are DOL APPROVED POST SEONDARY EDUCATIONAL SCHOOL. Washington Laser Institute is working closely with several esthetic schools in Washington State to provide the curriculum for the Master Esthetician License as per the new Washington State legislation. Our detailed curriculum will prepare you for the Master Esthetician curriculum as detailed by state law.